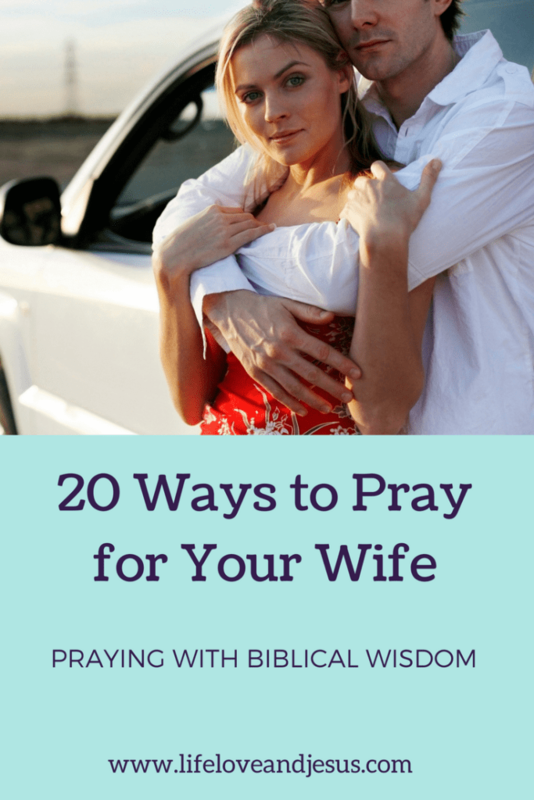 I have hesitated to write this post about 20 Ways to Pray for Your Wife for a couple of reasons. First, I don’t think that I have many men readers, so it may not be seen by the target audience much! With the possible exception of my husband! Second, it feels a bit self-serving. I am writing primarily from my own experiences and how I hope my husband prays for me. Yes, I have specific needs that I hope he prays for as well. But in general, if he prayed regularly over this list or a list like it, I would feel exceptionally lucky, blessed, and loved! However, I decided to go ahead and write the post, hoping that it will benefit someone, somewhere. One of the primary reasons I decided to go ahead with it, is that I wanted to have a complete family prayer set – husband, wife, children, and adult children. With this post, that set is complete, and I will soon be compiling it as a booklet to give away. With that said, here is the prayer list – share it with whomever you think would benefit. Let me know if you want the complete set of prayer guides.